Your individual nature and broad-mindedness are what makes you Aquarius. You belong to the air element and as such are full of ideas which can inspire and insight, but sometimes cause you to easily lose patience and have feelings of non-fulfillment. But like everything in life, nature has a way of counteracting negativity with joy and positiveness. 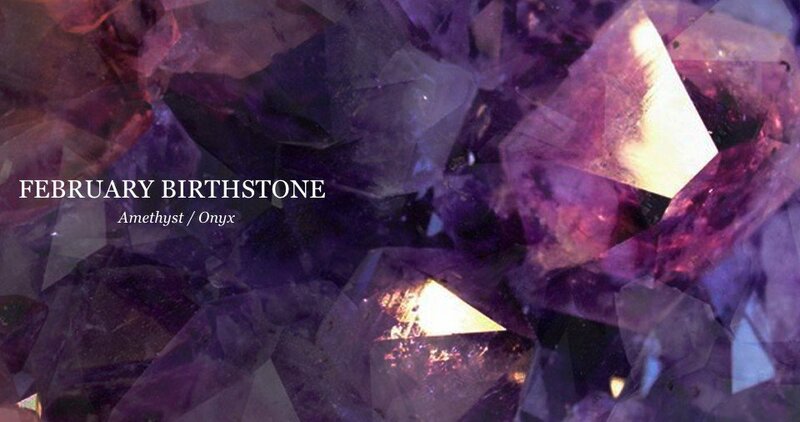 In February, the visionary and purposeful Aquarius experiences calm and peace through healing of the amethyst stone. So take time and relax. 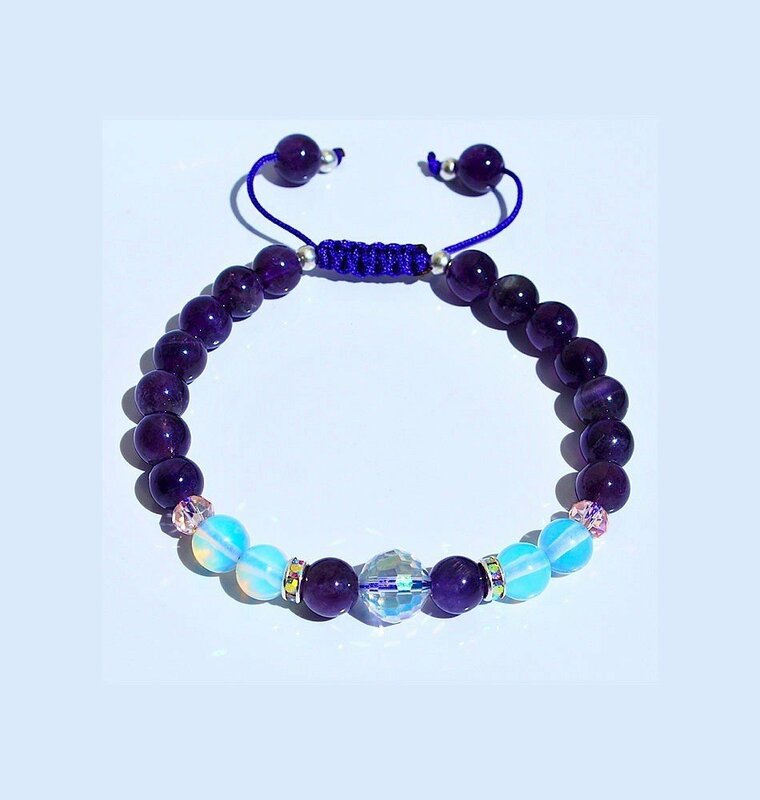 Mediate and renew your thoughts using the amethyst Aquarius mala bracelet to help you focus and increase intuition- enjoying that calm and tranquility you deserve. 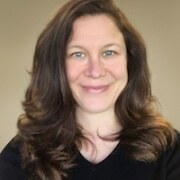 February is rooted in the Latin word meaning “to purify.” While the month is still part of winter and energy levels can be low during the season, now is the time to savor a bit of solitude and understand your present environment. As your ideas flow, take time to connect with your present self and circumstances and learn to have not only compassion for others, but for yourself as well. Let go of what you cannot control and focus on what you can. 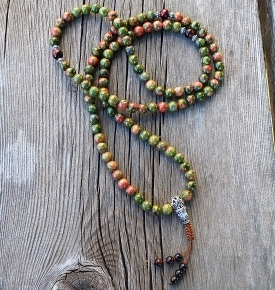 Whether in prayer or mediation or perhaps seeking a beautiful piece as a reminder to slow down sometimes, the Aquarius mala bracelet is perfect for the balanced Aquarius. The wondrous combination of amethyst, opalite and quartz crystal is ideal for all around healing and meditative devotion. 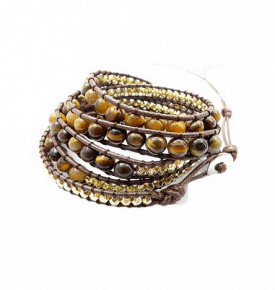 The gentle calming energy of these mala beads not only promotes peace and emotional stability, these stones have been used for centuries for medicinal purposes and healing. And while amethyst benefits the Aquarius, balancing general nature, you don’t have to be born in February to embrace amethyst mala beads. 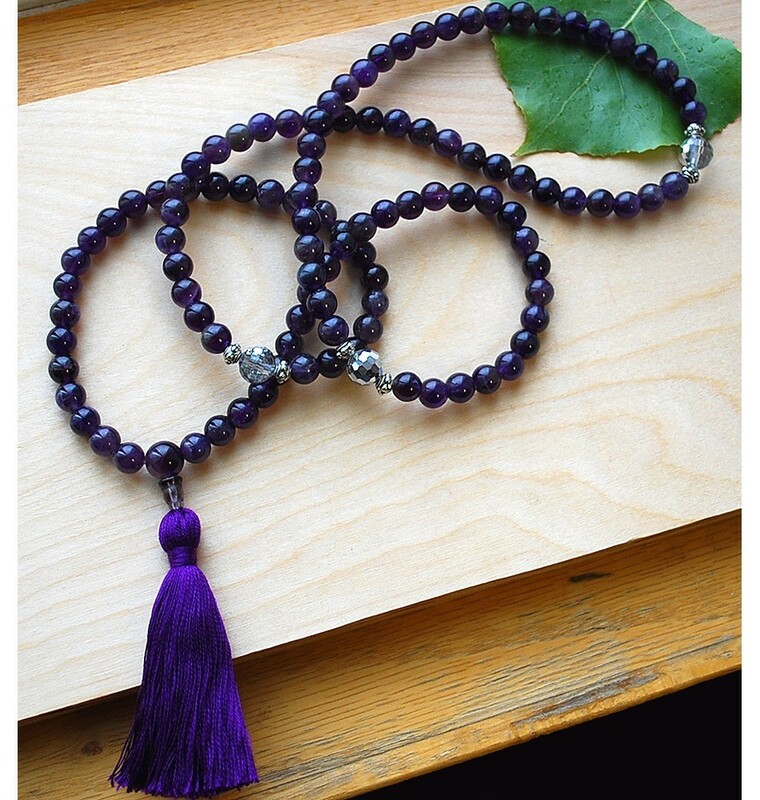 Often associated with the third eye chakra, amethyst mala beads are perfect or those seeking personal growth and insight. 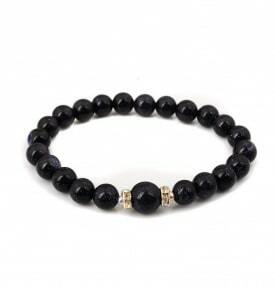 The stone traditionally is said to keep the mind sober- making the bracelet a wonderful gift for anyone seeking a clear mind and to center self during meditation. 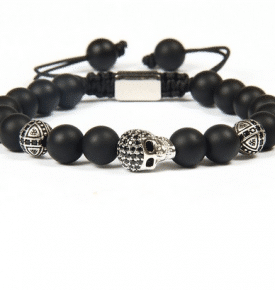 It further is said to have multi-faceted energy, typically known for its calming effects- balancing out our emotional and spiritual state whether we find ourselves in disarray or seeking energy to get through the day. Generally found in places such as Brazil and Africa, it has been used by many cultures around the world effectively proving its worth and suitability. Another piece to love this February and beyond includes the artful, Wellbeing mala beads a necklace of amethyst, turquoise and citrine for spiritual upliftment, healing and personal acceptance- what better to delight and find joy in from February going forward.